J.T.’s Discount Verticals the leader in FULL SERVICE window treatment sales & installations. Providing wood blinds, shades, shutters & drapery to the Staten Island, NY area. 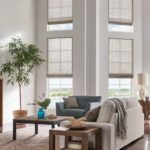 See which wood blinds styles and colors work best with the color, style and look and get professional advice, tips and experience on the best choices for your home, apartment or office. Premium service, selection and expertise you will not get from big box chains. Wood blinds are a type of horizontal blinds also known as Venetian blinds which are constructed with horizontal slats made from wood and can also be referred to as bamboo blinds. They are made with strips woods and are held together with cords. Pulling on the cords will allow for the wooden slats to be rotated to adjust the level of light and privacy. They can be rotated to face inward or the opposite direction facing out. When the cords are pulled, the bottom of the wooded blind moves up raising them to have a complete unobstructed view out of the window. The wooded slats come in a variety of widths and sizes. They range in size from 16 mm up to and 120 mm. The most popular size slats on wood blinds are 25 mm. Wood blinds are a very popular choice among homeowners as they provide a very classy & classic look that never goes out of style. They are more luxurious than blinds made from other materials. 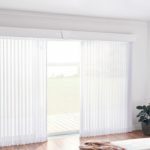 StatenIslandBlinds.com offers a huge selection of wood blinds that come complete with FREE home shopping, FREE measurements and FREE installation. 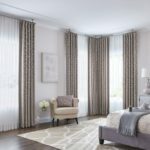 Serving Staten Island NY for more than 30 Years we have the selection, price and service to make you choice of window coverings one that will make your home comfortable at a price and convenience not offered by online catalogs or big box retailers.